I am passionate about creating Public Art: Art For Everyone. 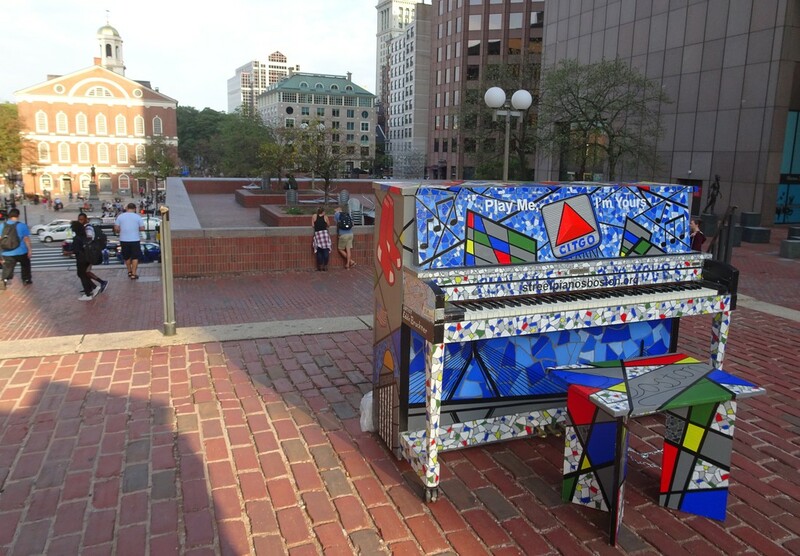 I created a painted piano for the Celebrity Series of Boston and the global art installation, “Play Me, I’m Yours”. In 2017, I was commissioned by the City of Boston’s Public Art Commission to paint an electrical box near Fenway Park. I’ve also completed a second electrical box with a Boston Marathon Theme along the Marathon route in Natick, MA. "Music, Love & Rock 'N' Roll" for the GuitARTS! 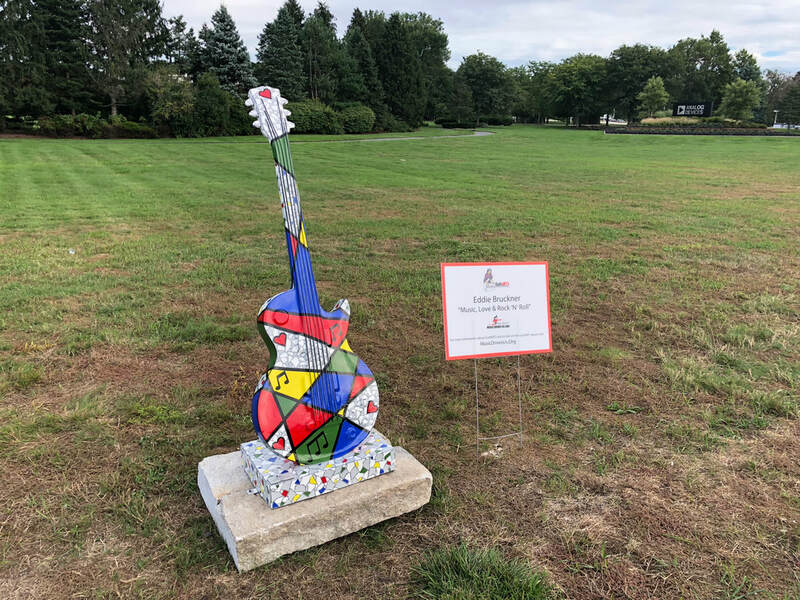 Public Art Project was commissioned by Music Drives Us and The Boch Family Foundation. #JumpNatick was commissioned by the Town of Natick, Natick Center Associates the the Natick Center Cultural District with support from the American Planning Association (APA), Americans for the Arts (AFTA), and the National Endowment for the Arts (NEA). I’m excited about the actual process of creating public art and/or installing the artwork on location with observers and participants. My artwork is about having fun, bringing a smile to people’s faces, and at the same time, providing a unique way of experiencing some of our most familiar objects, places, or people. I view my artwork as a visual representation of happiness, love, and the beautification of physical space and I love how Public Art achieves this goal and reaches so many people. My hope is that the public will personally connect to my art and enjoy the experience.